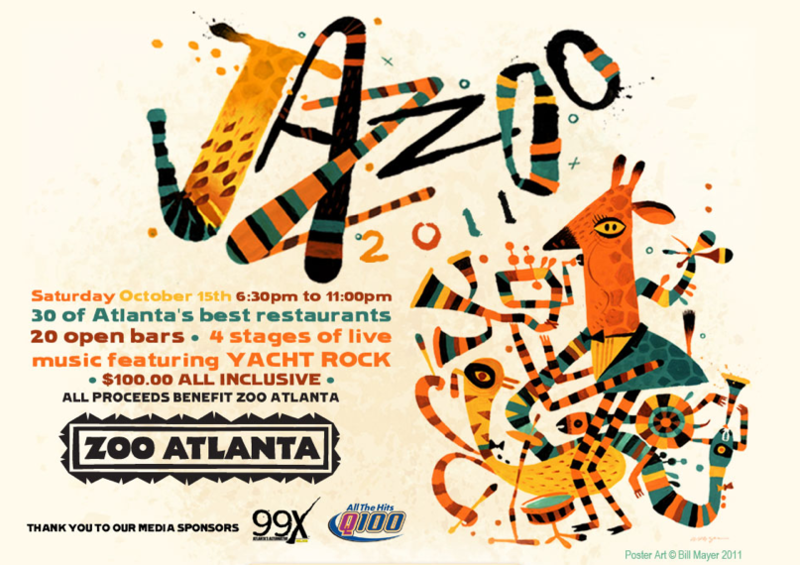 JAZZOO / Taste of Atlanta this October! | What's Up Atlanta? JAZZOO / Taste of Atlanta this October! Two big cultural events coming to Atlanta this month! Zoo Atlanta along with various partners will be hosting JAZZOO to help raise money for underprivileged children attending Title 1 schools in Atlanta. This will be the 4th Annual JAZZOO and in attendance will be Atlanta’s best restaurants and some amazing local music. For those looking to get their drink on there will be open bars accessible all night! Best part is that the Atlanta Zoo will serve as the exotic backdrop for this awesome party! Taste of Atlanta is no stranger to food festivals. For over 10 years now Taste of Atlanta has celebrated cuisine by introducing us to the finest restaurants, chefs, and spirits! “No one does it better than Taste of Atlanta’s local chefs, our Georgia farmers and the city’s talented bartenders. Come celebrate everything FOOD Atlanta has to offer. Experience delicious tastes from more than 80 of Atlanta’s favorite restaurants, exceptionalfood+wine+beer+cocktail tastings, seminars and food pairings and relaxing music cafes. Bottom line: Tons of food & booze.